One thing I love about blogging is the way that all you fabulous ladies support each other. 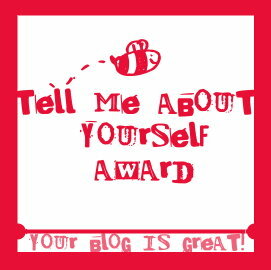 I've been the very lucky recipient of two more blog awards and am so thankful to be part of such an amazing community! A huge thank you to Jo from So Extra DC and Samantha from Lil Miss Buttercup for these two blog awards!! So to keep spreading the love I'm passing them on to another 10 fantastic bloggers! 1. Favorite color: why pink of course! 7. Giving or getting presents? : Giving and getting! I love both! I hope you guys check all these blogs out, all these ladies are so fabulous and their blogs have been such an inspiration. Keep spreading the blog love everyone!!! I am after lifelike patterns myself. Aw, thanks! I'm passionate about you, too! Thank u soooo much girl!!! 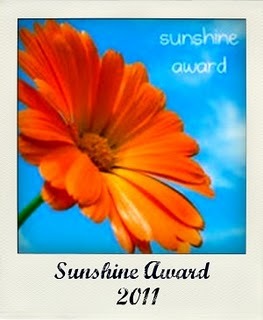 Im so happy for the sunshine award! Yay!!! Thanxs again!!!!! Thanks for the shout-out! You're super sweet to do so. Thank you so much for the shout out gorgeous! I am absolutely honored!!! BTW I LOVE THE NEW HEADER!!!! Congratulations on your awards! You rock girl! The header is so perfect! I am def going to check all of these bloggers out! Love the header its great !! Congrats and love the header! The header is awesome. I love that pink dress on the far right! congratulations, you definitely deserve it!! now following your sweet blog, girl, us ladies have to stick together! Yah! Congrats:) I really love your header - especially the photo where you are wearing the hat. You look really amazing! Congratulations. I am a twitter person as well more that facebook and dogs are my adoration. You look beautiful in pink, I remember a pink top with black skirt outfit was one of my favorites.